Two-hour visitor parking is available on the lower level of the parking garage located on the northwest corner of 10th Avenue and Washington Street. Access to visitor parking is off of Washington Street. Extended visitor parking is located on the fourth and fifth levels of the garage. To access this section of the garage enter on the east side of the garage on 10th Avenue. 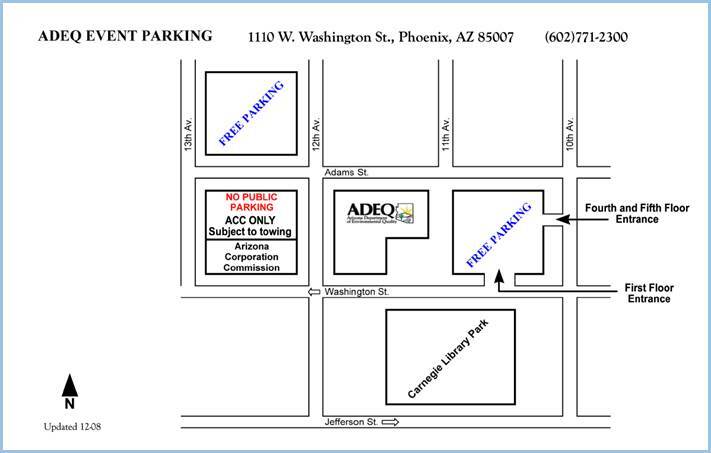 Parking is also available at the lot on the northwest corner of 12th Avenue and Adams Street and the northwest corner of 13th Avenue and Adams Street.